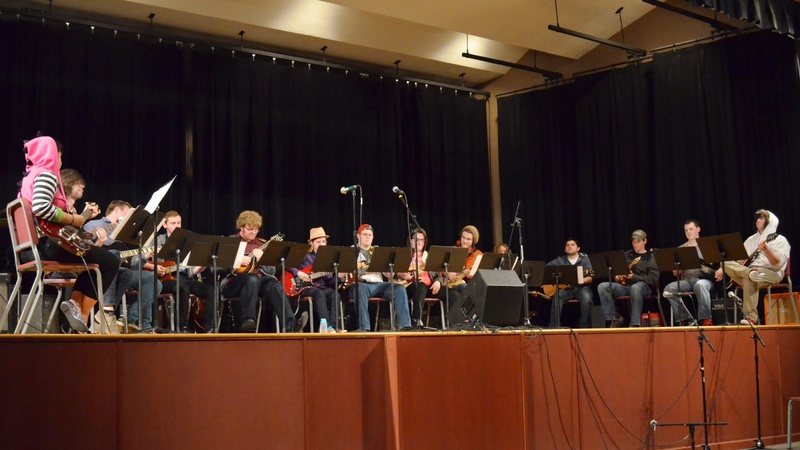 The WOU Guitar Ensemble comprises as many as a dozen or more guitarists. Arrangements are written by Director Christopher Woitach or advanced student members — or the pieces are worked out by the group in rehearsal. The group has put their imprint on music by a long list of composers which includes Bach, Miles Davis, Lady Gaga, and Led Zeppelin. Guitar Ensemble is a non-auditioned ensemble open to all students at WOU. The only requirement is an ability to read and play sheet music for guitar.